New from L’chaim. Don’t you ever want to cherish those songs that we sing on Simchas Torah all year ’round? Do you wonder at the origin of some of these agless niggunim? Yosef Moshe Kahana just released “HAKOFOS” your favorite songs/niggunim from basically EVERY chassidous. Be it Bobov, Viznitz, Belz, Satmar, Gur, Karlin, Modgitz, Boyan, Toldos Aarohn, Tzantz, Chabad…. The booklet will even thell you the origin of the songs. The music is beautifully done and the L’chaim choir and childrens choir greatly enhances this product. 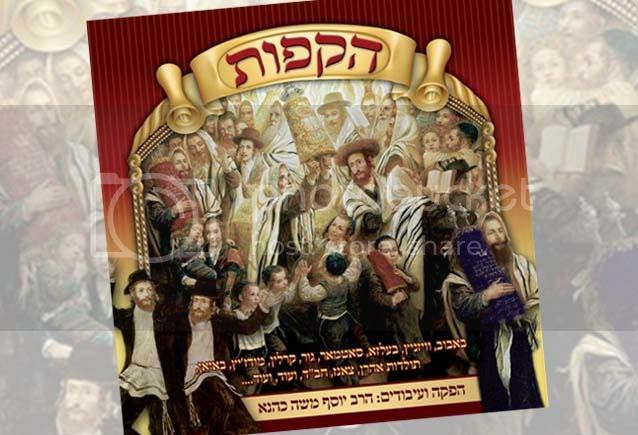 From “Moshe Emes” to “Mipi Kel”, “Toras Hashem Temima” to “Siou Sheraim” its all in this album. To hear the sampler please click play below. Скажите, где найти хозяина thejewishinsights.com.